I was looking through this blog yesterday and today and realized there are a lot of things I never got around to posting. Below are some cat earrings I made around the end of last year. 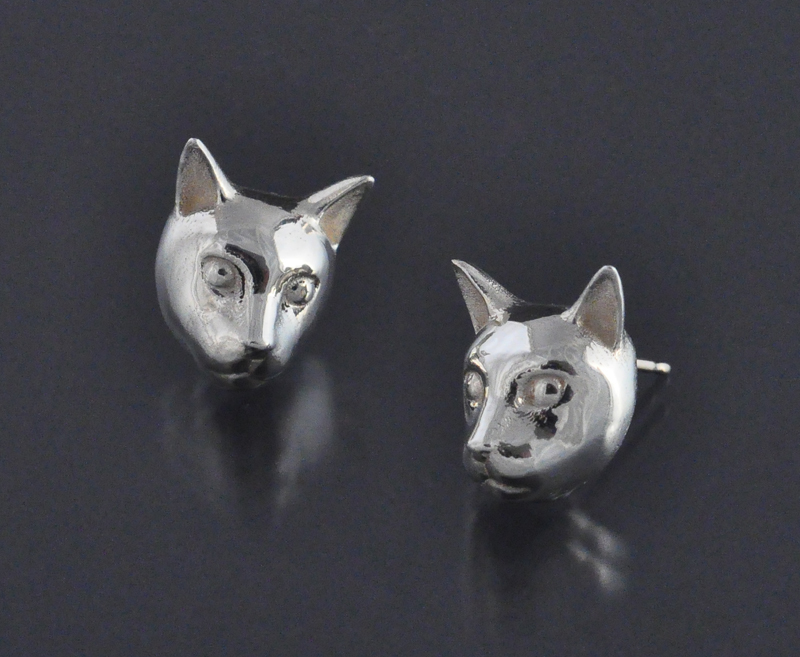 I had Shapeways print them in wax and my friend in the US cast them in silver and finished them. I also had them print some in plastic and in steel as a pendant. This is a pendant I made in Zbrush earlier this year. The sphere in the middle is a pearl. I will definitely make this one once I am back in the US. This design has a slight problem I don't like, but other than that, it is one of those designs I made and didn't think much about it at the time, then I looked at it months later and realized I really liked it. I forgot to post this one. This is the lock pick I made in the US in January. Handle is ebony. This is the only one I finished during my trip. I was very busy and tired during the trip and I just didn't want to spend my time in the studio. Friday I'm going to Taiwan for 6 days. About 2 weeks ago I found out I would have May 1st-6th off, so I decided I should go some place. If I was in the US and had 6 days off I probably wouldn't go anywhere. But while I'm in Korea it's so easy to travel to another country I want to travel every opportunity I have. I got two new toys to use with Rhino while I was in the US. 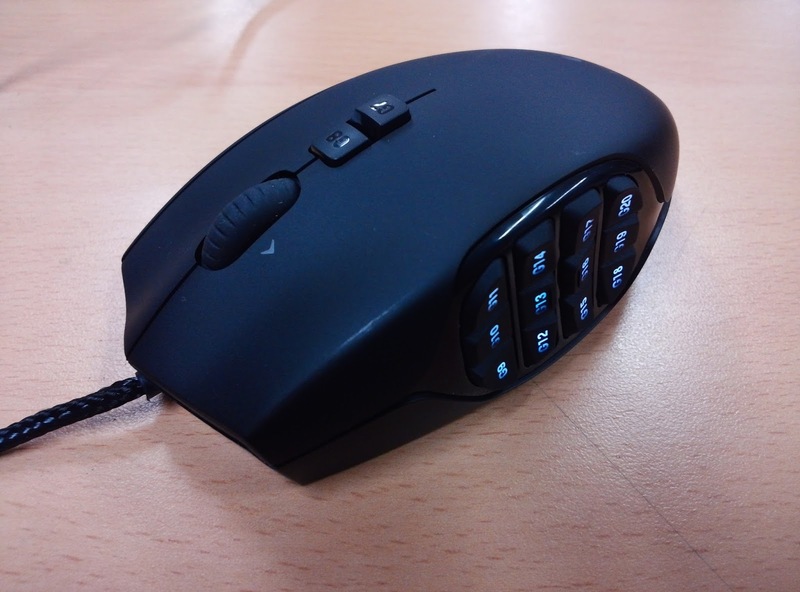 I got a Logitech G600 mouse with 14 extra buttons so I can program them with the commands I use most often. Today is only about the 3rd time I have used it, so I'm still learning the buttons. The button functions are what's on paper between the keyboard and the screen. I like it so far, except for the cord. It's been years since I have used a mouse with a cord. I can't stand cords, I don't even know why they still make them with cords. I also got a 3d mouse, the Spacemouse Pro Wireless. 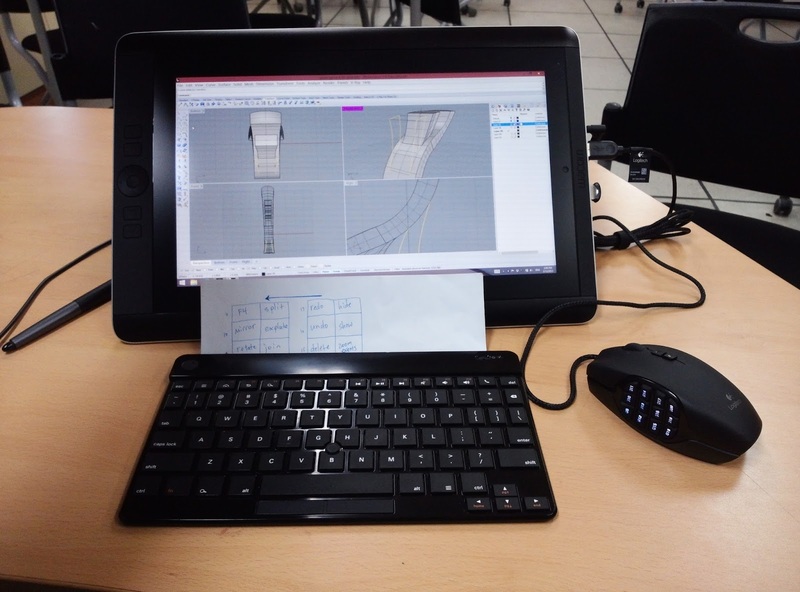 It is for moving the model around while you work. 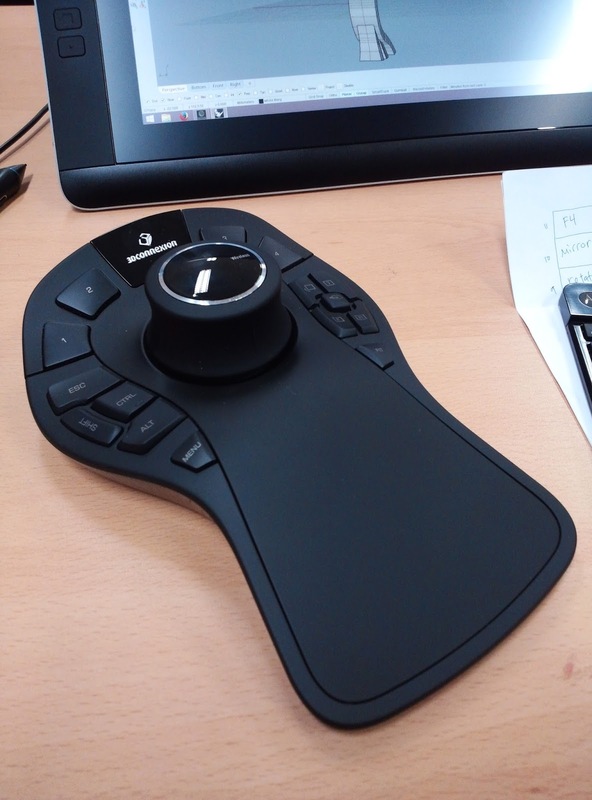 The knob in the middle moves in all direction so you can move, rotate and zoom any way you want. So you would work with the normal mouse in your right hand and the space mouse in your left hand. It's much more difficult to use than I expected. It's probably overkill for the simple CAD work I do, but I don't care. 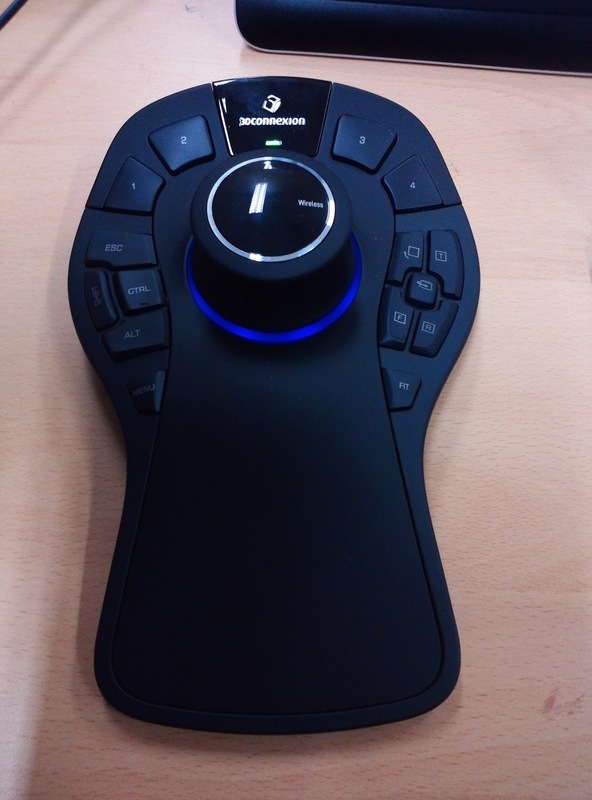 The space mouse can also be used with Google Earth to fly around. It's pretty cool. I got them at the same time, set them both up and tried to work but it was too confused having an unfamiliar tool in each hand. So I decided to put the space mouse away till I am more familiar with the new normal mouse. I got back from the US Sunday morning around 5:00 am. My time in the US was mostly spent busy and tired. I had big plans to make four lockpicks, but I didn't start on them till five days before I left. That would normally be enough time, but two of the days I was in Iowa, and aside from all the other things I had to do (meeting friends, shopping) I still had jet lag and was tired by early evening. I roughed out four wood handles before I went to Iowa. On my way to Iowa I thought about if it I really wanted to spend my last couple days trying to finish them all and decided to just finish one. I met a couple friends in Iowa, I also met my former professor from the University of Iowa, Chunghi Choo, who recently retired. She taught the first metals classes I took (1996-1997) and was my teacher again in graduate school (2005-2006). She probably had the most influence on my metal work. I'm planning on this being my last year in Korea. I'm going to try to put more effort into learning CAD (also learning Korean and saving money) and try to put together a portfolio. I have a lot of vacation time this winter, so I'll be visiting the US January 20th - 30th and Japan February 14th - 24th. I'm not too excited about the trip to the US, but I'm glad to be going to Japan again. Being able to travel easily in Asia is one of the things I like about living in Korea. 2014 flew by, I don't know what happened. It was not exactly a fun year like my previous years in Korea, but I was mostly productive and don't feel the year was wasted. Last year I moved to Yongin and started working at a middle school. It's much better than my previous school. However the city is not better. I was very close to Seoul in 2013, now I'm in kind of a rural area. This area isn't so bad though because I spent most of my free time doing CAD by myself, and much less time hanging out with friends. 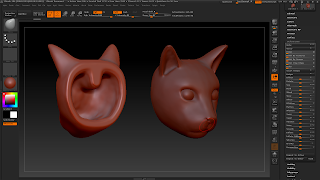 I spent a lot of time doing ZBrush. Much less time with Rhino. 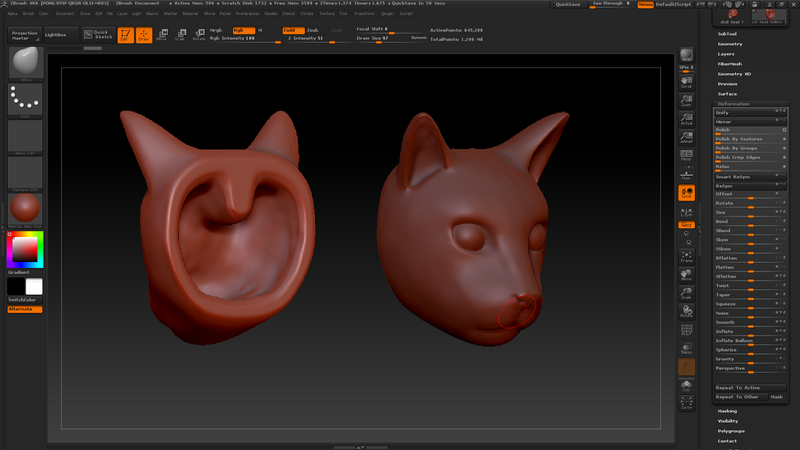 I put Rhino on hold for several months so I could concentrate on ZBrush, and just started using Rhino again regularly in November. 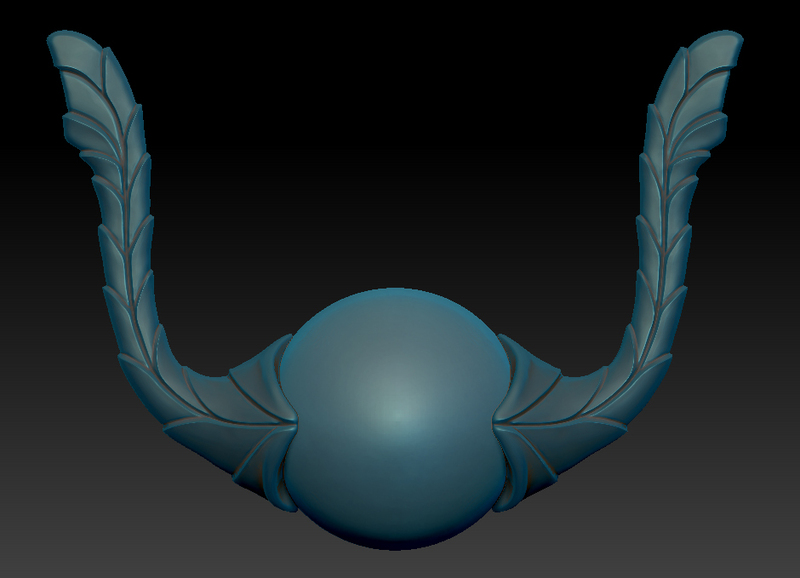 Right now I can do a lot with Rhino, but still have a lot of limitations. I also started learning Modo a little, but I think I am going to spend more time with Rhino before I spend anymore time with Modo. Since I am only doing CAD I don't have any new finished pieces, but I did have pieces I made years ago published at least twice in Art Jewelry magazine, and had two pieces published in a patina book. In April I finally started taking Korean classes in Seoul. I took them till December. I think I made a lot of progress till about September when I started feeling sick of it all. Right now I'm completely unmotivated. I think I will take a break from studying for most of January. Last January I visited the US for about 2 weeks. It was my first time back in almost 2 years. In August I went to Japan for about 2 weeks. I went to Yakushima, a place I have wanted to go for about 10 years. I also went to Osaka, Kyoto, and Nara, all places I have been to before. I found out at the end if December that I can stay at my school another year. I'm happy about that. I am planning on this being my last year in Korea.